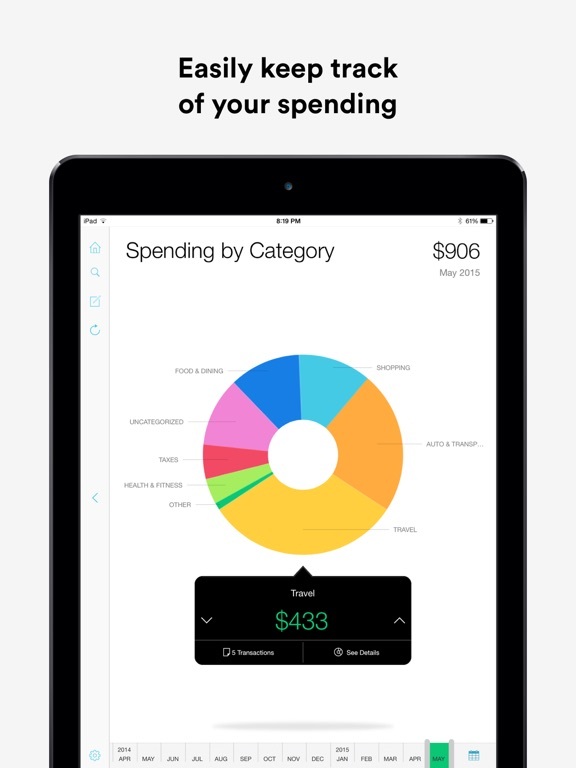 On top of tracking your spending with accuracy, you are also able to create your own budget so that you can constantly be on top of your own financial goals. 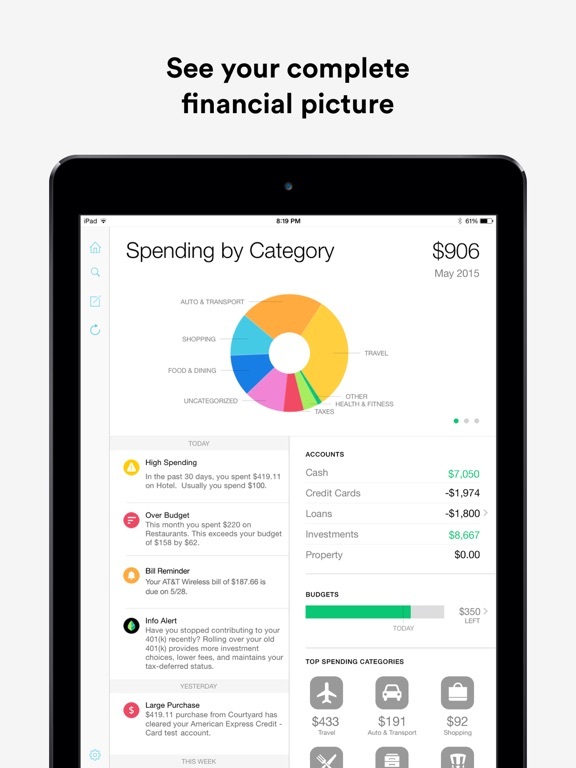 When you are using Mint, you are able to see what you are spending and how it is affecting your financial situation. 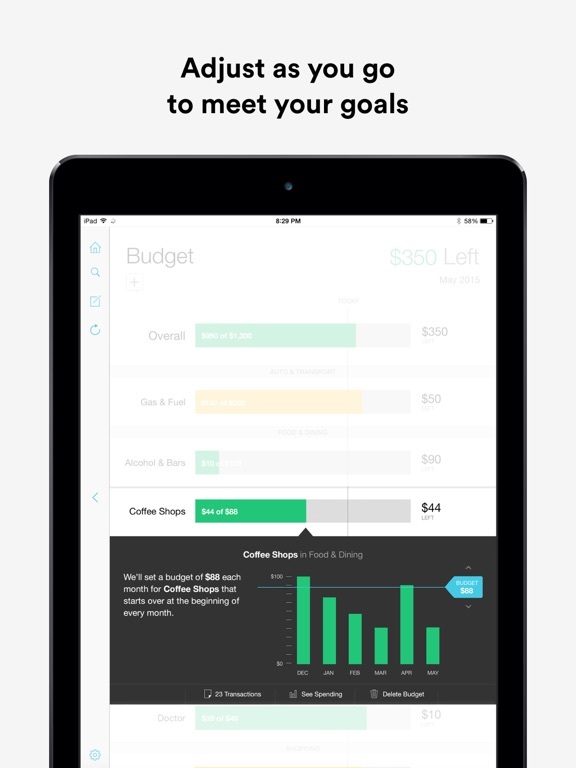 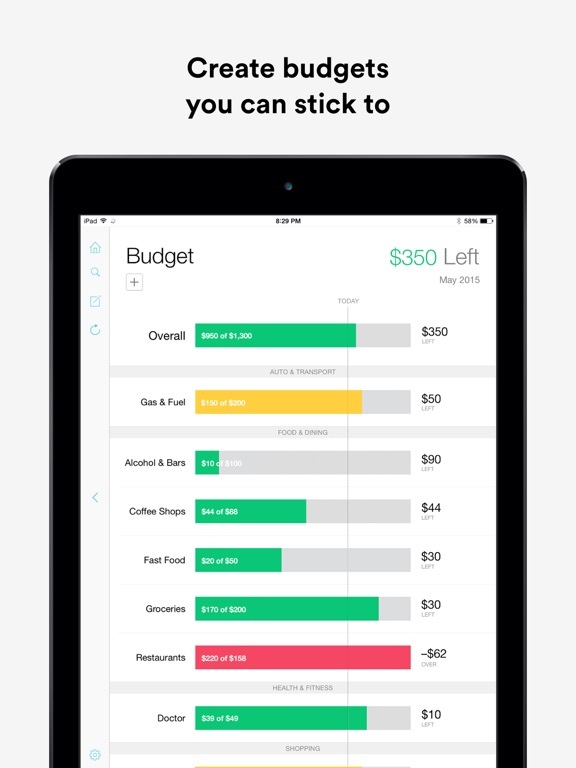 Mint has taken a complicated feat and created an app that makes budgeting as simple as typing in your passcode. 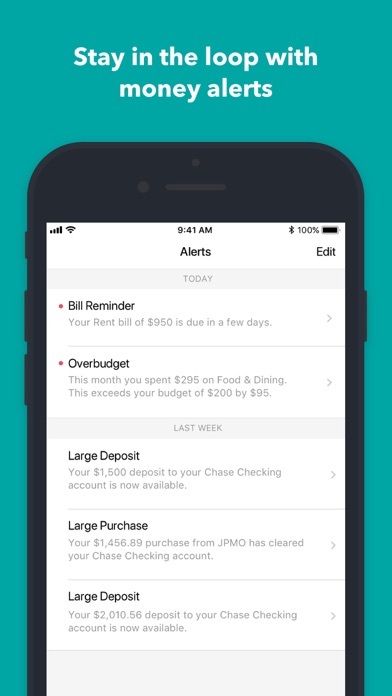 If the fact that Mint tracks your financial information safely and with ease is not enough, you can also count on notifications to let you know when you are hit with a financial charge, if you are approaching your budget, when a bill is due, or if unusual spending is being noticed. 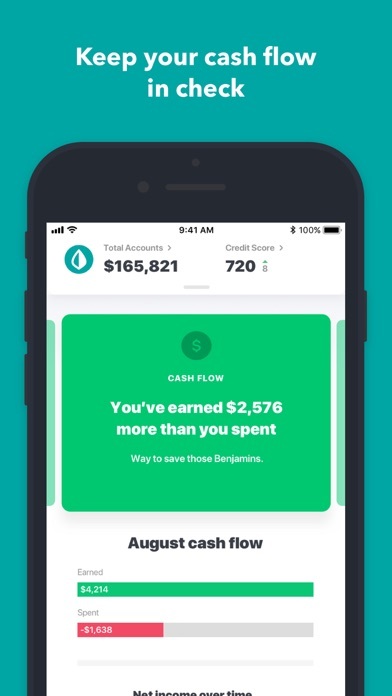 All of this information helps keep your finances transparent. 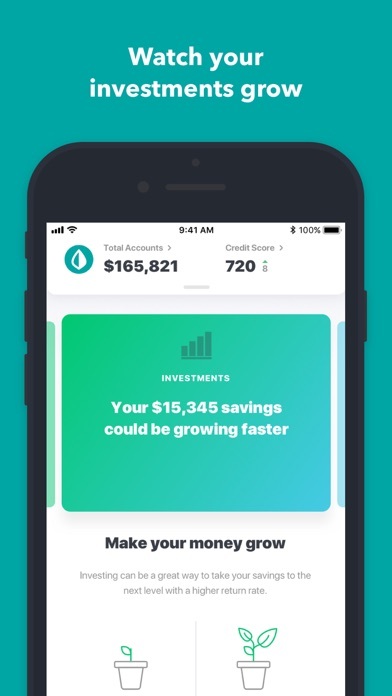 Knowing is half the battle when it comes to understanding financial issues and Mint is dedicated to making sure you know what is going on when it comes to your bank and credit accounts. 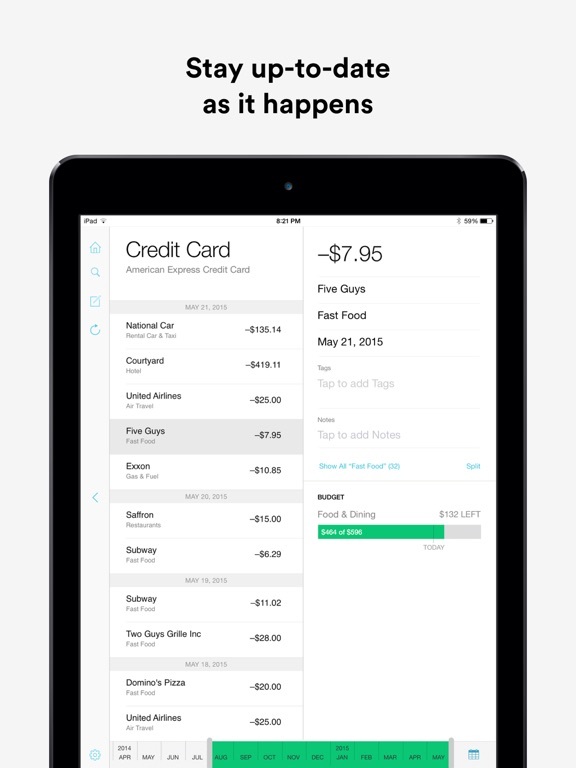 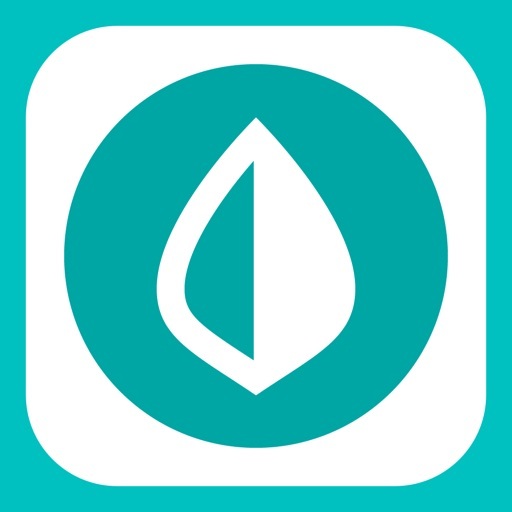 Mint is not a complicated app that makes it hard for you to understand your own information. 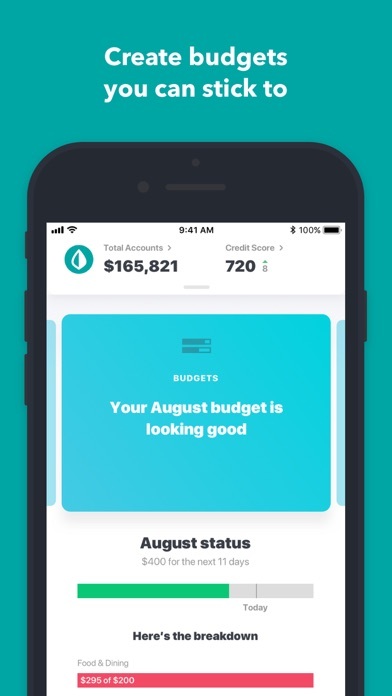 In fact, the way in which your whole budget can be broken down and the encouraging words it has when you are near reaching a financial goal will help make your financial life healthier. 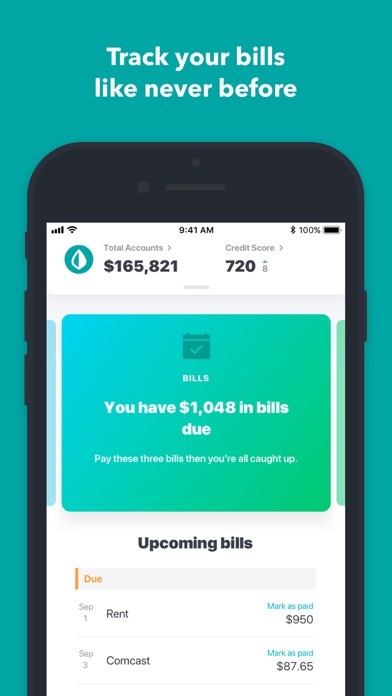 You may find the initial shock of how much information Mint can help you with intimidating but it is all information that someone who wants to understand their finances should know and understand. 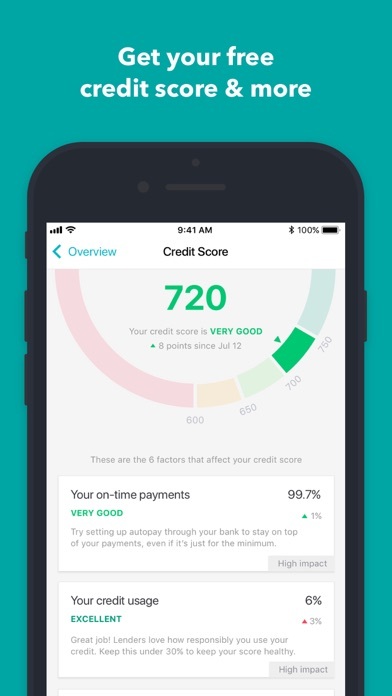 Once you have gotten a handle on tracking your finances, Mint offers the ability to get your free Credit Score, which is important for long-term goals of buying houses, cars or any type of financial backing. 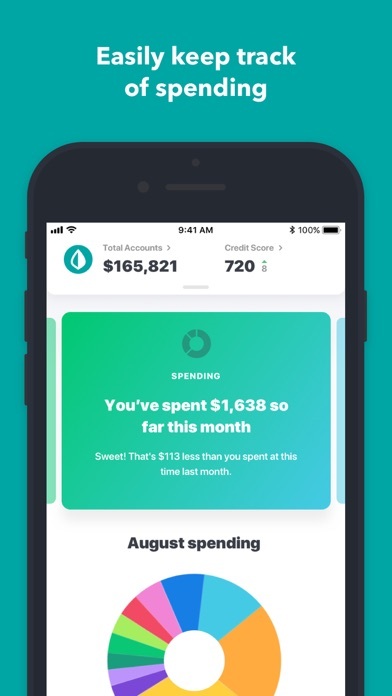 As a whole, Mint requires that you trust it with your data and in exchange, it will help you see the bigger picture and small details of your financial situation and goals.